MMM gifts and Bonus Prizes Every Wednesday! Every member of the MMM South Africa, India, MMM China, MMM Nigeria, MMM East Africa etc. can take part in the “Lottery”. There are 5 categories of winners. Each category has its own prize fund, which is divided among the winners. - please see your country MMM website "Lottery" page for details. Take part in MMM and win super prizes in the weekly “Lottery”. The bigger sum of your provided help, the more chances to win you have. Don’t miss your chance. 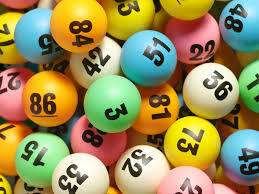 The lottery” winners get their prize in MAVRO-30%. The winner can take all money at once by creating a request for getting help, or leave this sum in the Personal Office for the 30% growth per month. The prizes to be won varies from countries to countries. Please visit the "lottery" page of your country/region MMM website to find out prizes in your country and more details of how to participate in the lottery.